People who are vision impaired now have their own mobile phone thanks to NSW-based OwnFone which has developed the special mobile phone in consultation with the blind and low vision community. The phone was developed in the United Kingdom, it has no touch screen and instead uses 3D printing to customise the handset for each user. The original OwnFone was developed as a bare bones mobile phone alternative targeted at seniors and children. OwnFone Australia director, Brad Scoble, said touchscreen technology is problematic for the blind or vision impaired. The UK-based inventor of OwnFone, Tom Sunderland, said that the prohibitive cost of developing a braille phone versus the market size was previously a barrier to entry. The handset is used only to receive and make phone calls and adds to the company’s existing range of mobile phones for children and seniors. Users can design their own handset on the firm’s website. They will need to provide up to three contact names. These names are then printed on the front of the phone in braille. 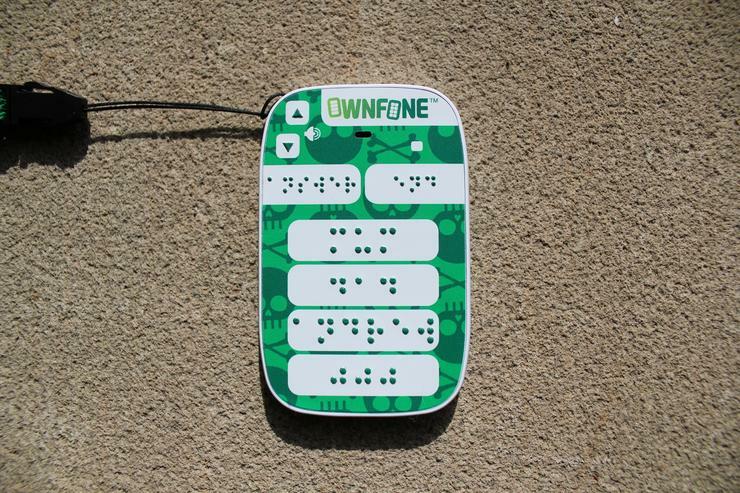 The braille version of the OwnFone is available nation wide. Prices start at $89 and call plans start at $2.35 a week.